Choose from a selection of 451 holiday rentals in Province of Lucca. Use the search form to the left to filter the results and pick your choice of self catering accommodation in Province of Lucca. We have a good selection of holiday apartments in Province of Lucca perfect for family, single, romantic and group holidays. You may prefer to take a look at our listed holiday villas in Province of Lucca or holiday apartments in Province of Lucca. Find your holiday homes by a specific type using the property type drop down in the filter. Filter the holiday homes in Province of Lucca by a specific area using the area list above. 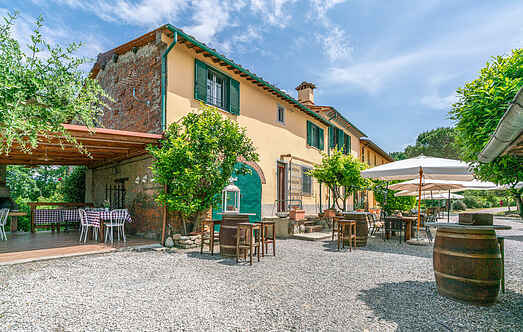 Ground floor apartment in a restored house of the 18th century in the small medieval hamlet of Pedona, set on the hills of Lucca. This old farmhouse has been renovated and divided into three apartments and a B&B. Each apartments has a private and equipped outdoor area for outdoor dining. This charming holiday home is located only 7km from the stunning Lido di Camaiore with its beautiful beaches near the ancient village of Buchignano. 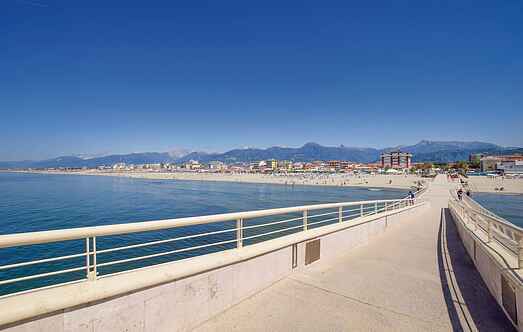 Nice terraced house with a glimpse of the sea just 7 km from the beautiful beaches of Lido di Camaiore and Marina di Pietrasanta. Apartment in a house on 2 levels, free on 3 sides, set in Marlia, village in the surrounding of Lucca (7 km) at the bottom of the hills around the city along the ancient Via Francigena. Holiday apartment in a two- family house with small above ground pool in Capezzano Pianore, village in the municipality of Camaiore just 6 km from the beautiful beaches of Versilia. Apartment in a restored house of the 18th century in the small medieval hamlet of Pedona, set on the hills of Lucca. The apartment is on the first floor and a staircase leads to the attic. Villa Jules is a brand new detached villa located on a hillside in Camaiore, with a large garden and park planted with olive trees. This detached holiday home is located in the small mountain village of Bargecchia and offers a wonderful view of the Massaciuccoli Lake.